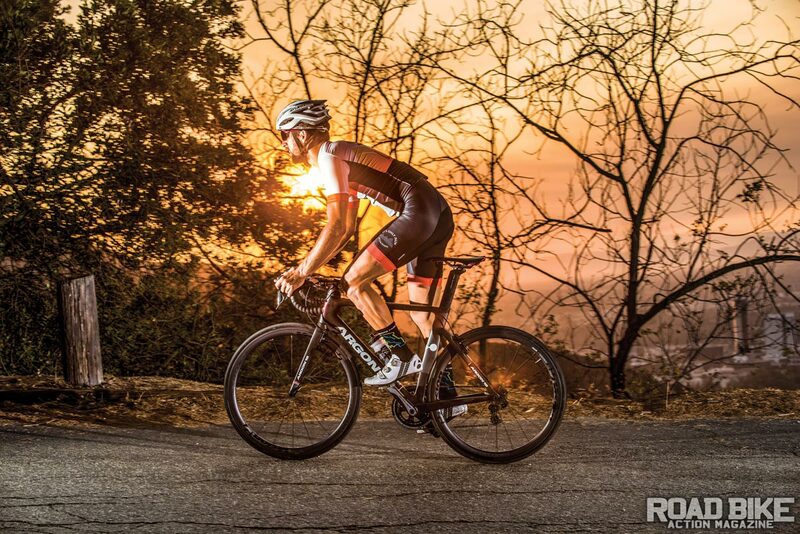 In the short daylight hours, it seems that we always find ourselves finishing a ride just past sunset or in the dark. Lights are always an afterthought it seems, but are one of the most important accessories to have day or night. The light market is always evolving, as LED and battery technology continue to evolve. There is also a big push for connectivity with lights, allowing users to customize their settings and sync multiple lights. Remember, a key purpose for riding with lights is not just to see where you are going but, just as important, to help others see where you are. Visibility on the road is as critical for you as it is for others. Here are four new lights that offer a variety of designs. As always, ride often and ride safe. Kryptonite Alley F-650: Yes, that’s correct, the same company that has supplied locks for over 45 years is now making a full line of cycling lights. The Alley F-650 is their top-tier headlight that is designed to illuminate the road. 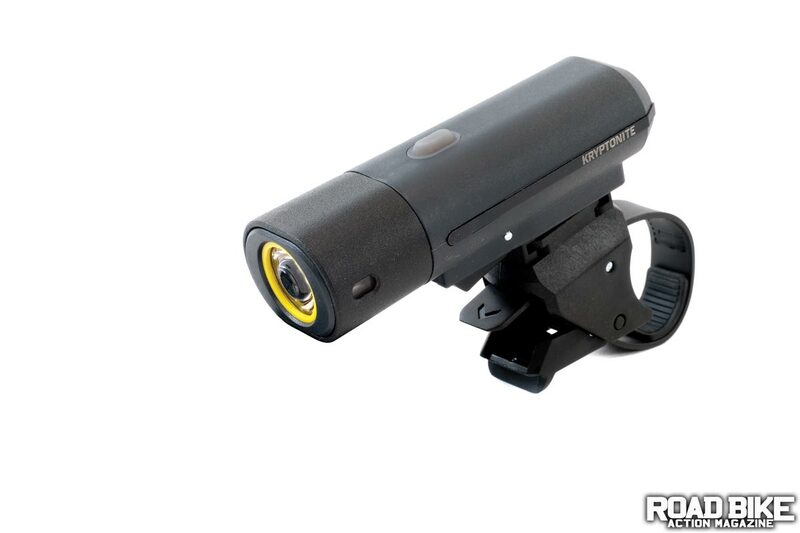 It has three constant settings—650, 325 and 100 lumens. There is a daylight pulse that fades from off to 650 lumens. A nightlight pulse that fades from 100 to 300 lumens, and last an eco flash that is a constant flash of 100 lumens. 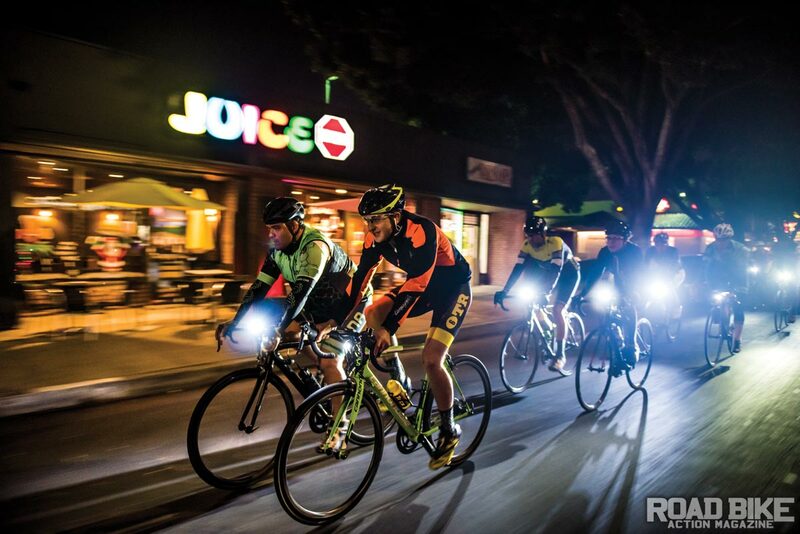 Runtimes are on par with two hours at 650 lumens all the way to 12 hours when at 100 lumens. The eco flash will give you 26 hours of runtime, and the power button indicates the status of the battery with a colored LED. The mount is very easy to install and, thanks to its design, can even accommodate some aero bars too. use your GPS speed to increase and decrease the lumen output automatically. There is also a feature that allows multiple lights to be linked, and all the lights in the group will change when one of the lights is adjusted. 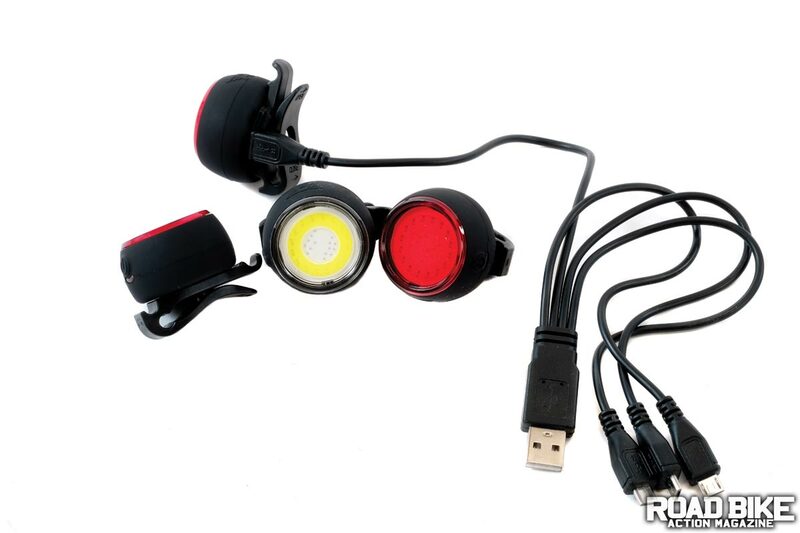 Arsenal Cycling 4Sync: Visibility is everything, and the 4Sync light is a unique, synchronized, wireless light set with one white light and three red lights that together create a full system. The front light is 60 lumens, while each of the rear lights is 18 lumens. When running in the lowest-sync strobe mode, the front runs at 3 lumens, and each of the rear lights run at 1 lumen for over 24 hours. Mounting is simple since each light has a clip with a strap option too. Specialized Stix Elite: Simplicity is always refreshing in a world full of complex systems and gadgets. The Stix Elite light set is about as simple as it gets but without compromising function. Both front and rear have three LEDs on the rectangular body. There is no USB port; instead, there’s a USB dongle that plugs directly into a USB port with no cables needed. This is also how the lights connect to the rubber strap mount. The front has a max lumen of 133, while the rear is 62 with a runtime of just over two hours from our testing. There are multiple pulse and flash modes extending the runtime to around 100 hours. Kryptonite: The first thing we noticed when installing the F-650 was how adaptable the mount could be. The strap allowed us to fit a few aero bars that normally would be nearly impossible for most light systems. The connection to the mount is secure and has a large lever release, making it easy to remove but held secure during testing. The body of the light is plastic, with the front lens housed in an alloy shell, keeping the overall weight minimal. The raised button was easy to press and houses a LED that indicates the battery level. Modes are simple to adjust, but the beam pattern was too wide to throw light down the road far. addition of Bluetooth and the smart mode moves it even closer to the top step. All we could do is play with the smart mode setting to get the perfect combination. Once set up and riding, the app and light are controlled by GPS, and we don’t have to think about a thing. As we speed up, the light incrementally increases lumen output, delivering perfect output all the time. Not only did this make riding safer since we could keep our hands on the bars, it also helps maximize battery life. No more turning the light up bright for a quick descent then forgetting to turn it back down to save battery. With the new app, we could also change modes and customize our exact settings. For example, we made our low setting 80 lumens, our mid 400 and the max only 650 when not using the smart mode. This allowed us to run the 400 most of the time and bump it to 650 when needed, but have the 80 for those rides that finish just as the sun is setting and the shaded areas can get dark. The back button is very sensitive and can control the mode selection as well. The button is removed to reveal the charging port and a port to charge other small devices like cycling computers or even a cell phone. It can be a battery backup, and we have used it in the past, not as a light but as an external battery on long events that extend past the life of our computer batteries. blinks seen rather than one overwhelming flash. Having four lights to charge might seem like a task in itself, but Arsenal includes a four-way cable that allows you to charge the whole set at once. We also like the fact that we could purchase more lights and add them to our group. Mounting was easy but a bit limiting on angle, so having the multiple lights is great. We mounted two rear lights to the bike and one on the pocket of our jersey while the front was on the bars. Specialized: The Stix Elite is simple, and we love it. They are the lights that practically live on our bike and are only removed to refill the battery. The front and rear look identical, other than the Stix logo (white or red) that helps indicate if it’s a front or rear without powering them on. The mount is simple, and they are identical for front and rear. There is no adjustment of the angle, but the lens of the LED does a great job of distributing the beam wide. The button is raised but small, so we tend to leave it in whichever blink mode is first selected. Battery life has been so good, we tend to go an entire week’s worth of riding without charging. market today. The Kryptonite has a great mount and is easy on the wallet too. The 650 lumens is lost a bit with the lens chosen, but would be a great choice if there are a limited number of high-speed sections. 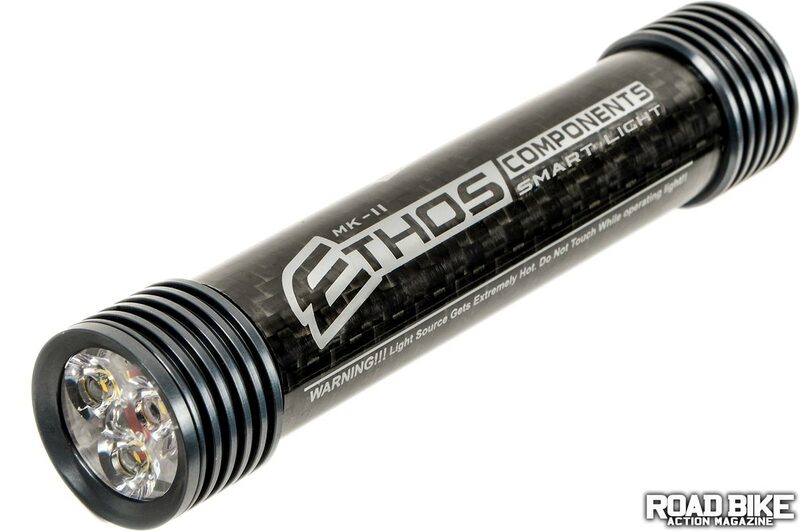 If quality and craftsmanship are important to you, the Ethos Smart 800 could be for you. The new app and setting controls can be a dream, but with so many options, it’s also easy to get lost down the rabbit hole. The smart mode that has GPS-controlled output is by far our favorite and would be recommended for anyone that does a lot of rides and has varying terrain and speed. When it comes to being seen, the Arsenal system is a real game-changer, because the synchronized connection makes having more than enough lights too easy not to use. The out-of-sync blink mode means that it is easier for others to accurately gauge your speed and size. 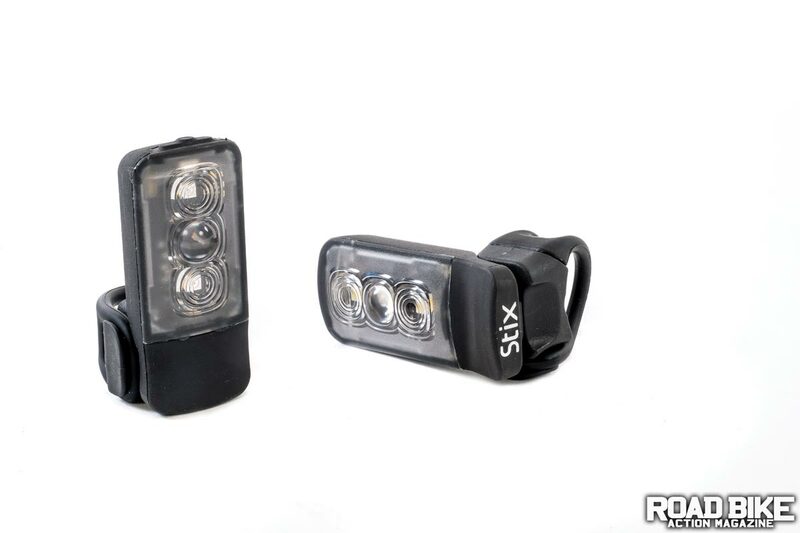 The Specialized Stix is one of those go-to lights that is simple to install and mount because it doesn’t need any cables to charge and has incredible battery life.